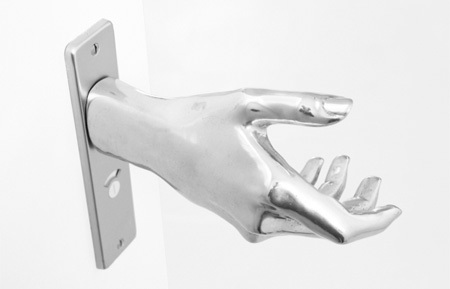 Unusual and creative door handles that will help you open and close doors. 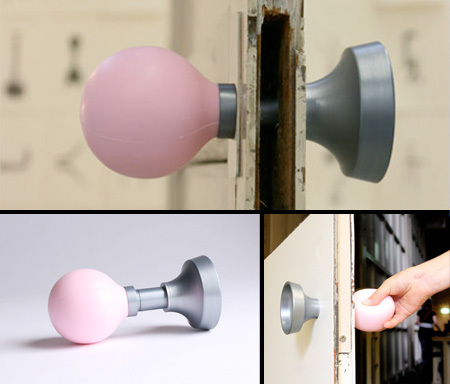 Useful door handles also act as a clip that can hold messages. Ii displays a reflection of the room on the other side of the door. 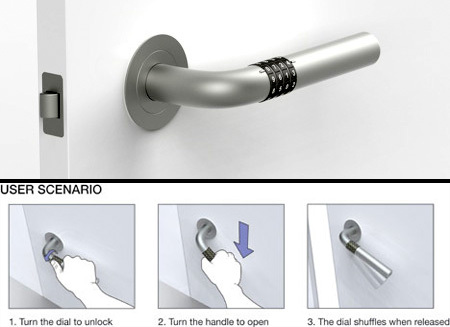 Modern door handle comes with built-in combination lock. 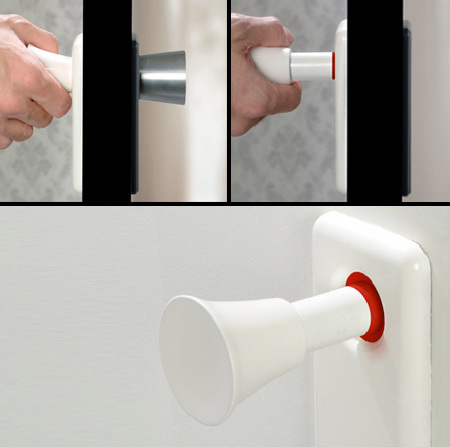 Doorclaxon is creative door handle that also functions as a doorbell. Push panel and pull handle were combined into a set. This design hopes to eliminate the need for “Push” and “Pull” stickers. Creative door handle designed by Naomi Thellier de Poncheville. the glass globe would be useless… unless you are a creeper. I like the Disappearing Door Handle the best. 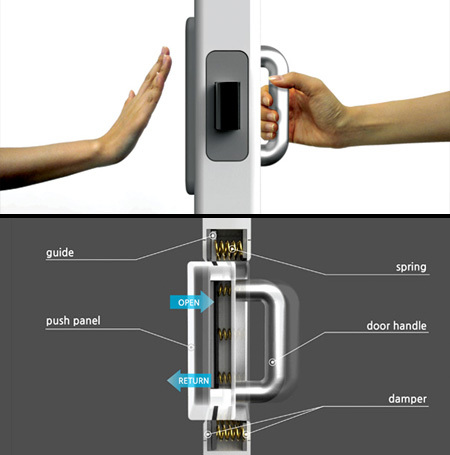 The “Intuitive Door Handle” is quite clever. They should add the possibility to open it with a pedal, in case one has the hands full. Glass door knob: broken easily and wicked bad flesh wound resulting. Sculpted hand: creepy and only good for right handed use. Horn knob: could anything be more obnoxious. 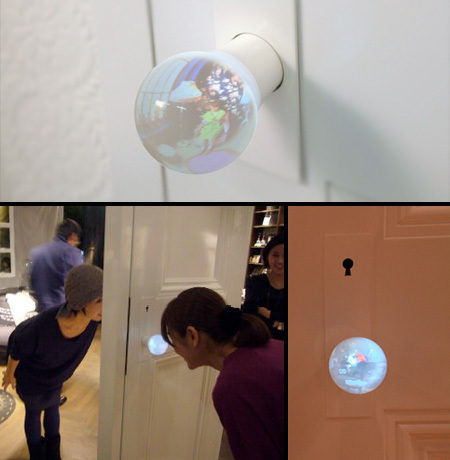 Glass knob… excellent for small child’s room who insists door must be closed for privacy. 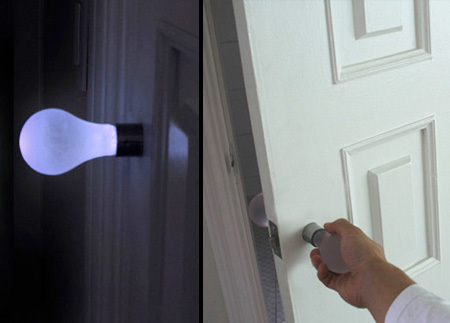 The light bulb knob is very very cool. Not sold on the horn one, I guess if you worked as a clown it might be amusing. Useless and poor design, all of them. Then why don’t you come up with some of your own and show these amateurs how it’s done?